Genuine unisex Praha Drinking Team T-shirt bundled with baseball hat of the same motive. Makes perfect couple to show off your beer drinking trip to Prague. Original local apparel with motive printed and embroidered in Czechia on 100% cotton textile. You save 2.75€ compared to purchase of both products separately. T-shirt is available in four colors - black, dark blue, red and white. Cap is available only in black - we have one last piece on stock. 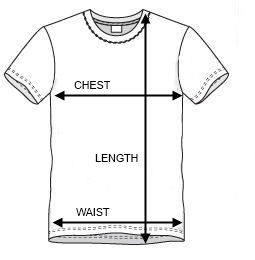 When thinking about T-shirt size, please refer to the detailed Sizing Chart. - This T-shirt is available in standard apparel sizes from S to XXL. We deliver our products to all countries worldwide, using Priority Mail or Priority Parcel international postal services. We ship them from our warehouse located near Prague, Czech Republic. Priority Mail is the most affordable way of international shipping for consignments of weight up to 2 kilograms (4 pounds). Technically it is a registered letter in a box or large envelope, transported by aircraft to the destination country. It combines low cost with reasonable speed of delivery. Priority Parcel comes into play for consignments above 2 kilograms (4 pounds). It can be used also for smaller shipments, in the case you want to receive more detailed tracking information than offered by Priority Mail. If you order a sweatshirt, for example, the order weight will be 0.65 kg (1.3 pound) and shipping cost 15.95 € to Europe or 20.75 € to the world. If you add a T-shirt, the total weight will be 0.9 kg (1.8 pound) and the shipping cost will remain the same. If you order two sweatshirts, total order weight will be 1.3 kg (2.6 pounds) and the shipping cost will increase to 24.75 / 34 €. It is therefore good idea to fill the order up to the particular weight limit because this way you save on shipping costs. We offer profit-free shipping rates - we only charge the real costs of shipping. When do I receive the order? We can also offer express delivery by a door-to-door shipping service in the case you need to receive our products within couple of days. Please get in touch with us personally as the actual rate needs to be calculated individually case by case. Please go to the Czech Post order tracking tool, switch the interface to English and enter the Shipment Reference Number which you have received from us as part of the shipping confirmation email. Please note Czech Post can display only the information which it receives from the postal company in your destination country. You can use this number also with your domestic postal company in some countries to check the status of your order after it passes local customs procedure. The difference between Priority Mail and Priority Parcel is the following: only some destination countries (for example Germany, Italy, Denmark, Netherlands, USA, Canada, Japan) provide the above details for Priority Mail but all destination countries provide the above details for Priority Parcel. You can return any standard product for any reason within 30 days after its actual delivery. We will reimburse full product and shipping price to you. Simply get in touch with our customer service by sending email to mpthiele@vtravelmemories.com to arrange details. Custom made products for conferences (custom printed mugs, custom designed clocks etc.) can not be returned as they can not be used by any other customer again. You can use either standard PayPal Checkout or the single-page checkout form provided by our store engine to finish your order. Your payment will be processed by external card gateway provided by PayPal in both cases. We do not process card payments directly in our store. We do not collect any card details from you, those remain solely with the PayPal gateway. You do not have to possess any PayPal account to make payment with your card. If you do not trust online transactions, you can make a payment to us using standard wire transfer from your bank account to our bank account. Please note this payment method is limited to orders exceeding certain value to cover international bank transfer fees. We will ship your order after we receive the wired payment. Please refer to the Size Chart below when deciding about the right T-shirt for you. The chart shows real product dimensions (chest width, waist width and length) so that you can compare it to your existing apparel which already fits you best. Black-haired lady model Regina: height 170cm, bust girth 100 cm, waist girth 68 cm, hips girth 100 cm. Regina is wearing unisex T-shirts of size S, rarely M.
Soft blonde lady model Andrea: height 169cm, bust girth 96cm, waist girth 81 cm, hips girth 100cm. Andrea is wearing unisex T-shirts of size S, rarely M.
Copyright virtual travel memories. All Rights Reserved. eCommerce Software by 3dcart.